Data Recovery Software for Memory Card retrieves lost or deleted files and folders from flash memory card storage media. Software recovers and get back files lost due to accidental deletion or formatted media drive. ✏ Virus attack and other similar reasons. Memory card recovery software takes special care of your deleted crucial data and preview all files and folders before performing actual recovery task. Software analyze, locate and restore data at user defined safe location. Memory card recovery software recover card data lost due to human errors, damaged file system, virus attacks or any of the data loss consequences. ✔ Recovers deleted files from multimedia card storage device. ✔ Safe solution to retrieve accidentally or intentionally deleted data from memory card. ✔ Support major memory card formats such as SD card, MMC card, Picture card, Compact Flash and many more. ✔ Software is equipped with all latest disk scanning technologies to offer enhanced recovery results. ✔ User does not require specific technical skill to operate the software. 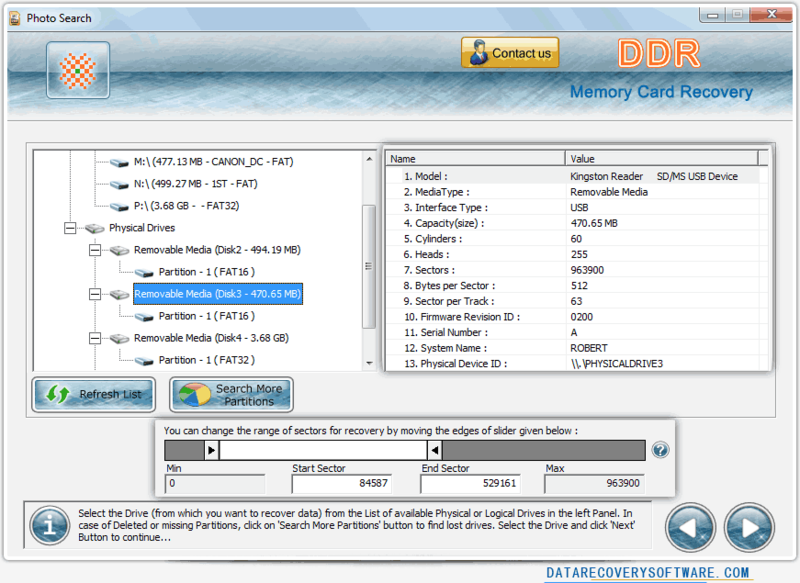 ✔ Data card recovery program supports memory card in various storage capacity.